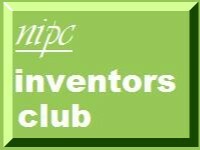 The 18th Annual Independent Inventors Conference should have taken place this weekend at the US Patent and Trademark Office ("USPTO"). Sadly, it won't because it has been cancelled. It is a victim of the wrangling between US politicians over the implementation of Patient Protection and Affordable Care Act. Woody Norris, another well known popular inventor. There would also have been presentations, workshops, and one to one advisory sessions with senior USPTO officials and others who would have provided information and answered questions about patents and trade marks. The USPTO intends to reschedule this conference as and when circumstances allow I sincerely hope that it can. As I noted in "US Patent and Trade Mark Office helps Independent Inventors" 11 Sept 2005 which was one of my first posts to this blog the USPTO does a lot for independent inventors and small and medium enterprises in the USA. Its website has a whole section devoted to inventors with useful information on patenting, trade mark registration and local information services. The IPO could certainly learn a lot from the USPTO. The conference is, of course, the flagship event and it would be good to hold a similar event here. Such a conference need not be run by the IPO. It could be organized by universities, law firms, patent agencies, the PatLib libraries pr even by inventors. If anyone here would like to be involved in such a conference please get in touch. You can send me a message through my contact form or call me on 020 7404 5252 during normal office hours. Also you can also tweet, write on my wall or send me a message through G+, Linkedin or Xing.